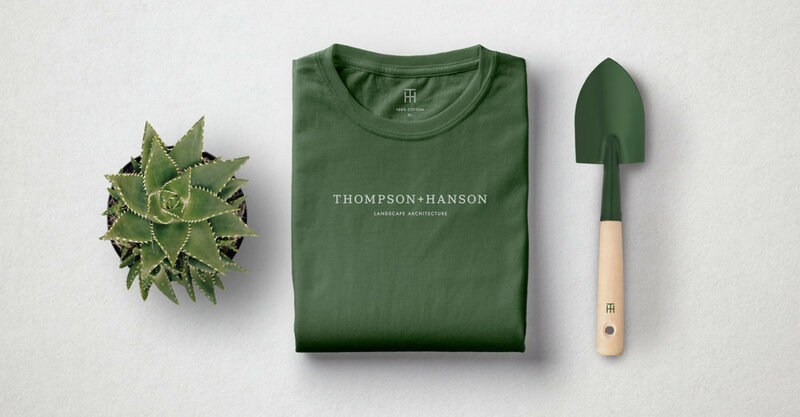 THOMPSON + HANSON | CREATIVE RETAIL PACKAGING, INC.
Thompson + Hanson is a full-service, design-build landscape architecture firm specializing in landscape design, installation, and maintenance. 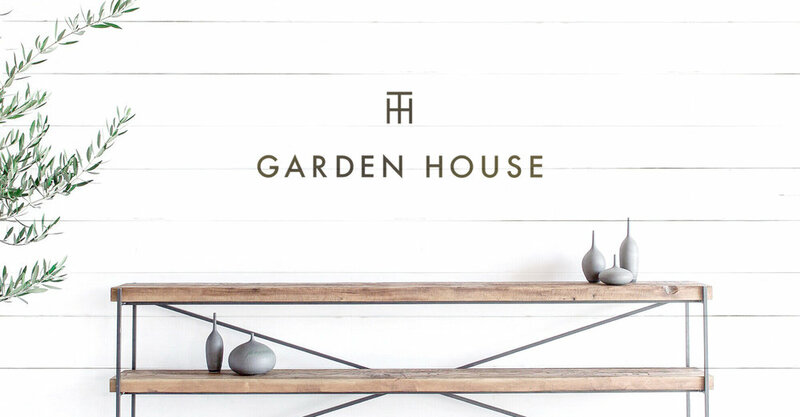 Established in 1981, they have offices in Houston and Austin, and a reputation for creating and maintaining some of the finest residential gardens in Texas. 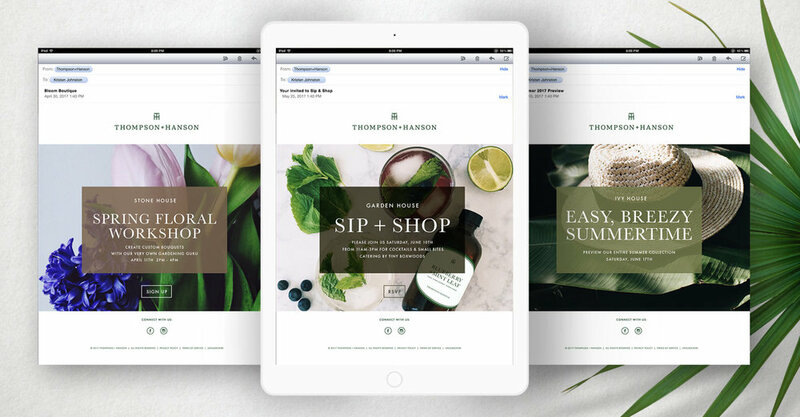 In 2016, they aimed to refresh their identity and blossom into a full-fledged lifestyle brand. 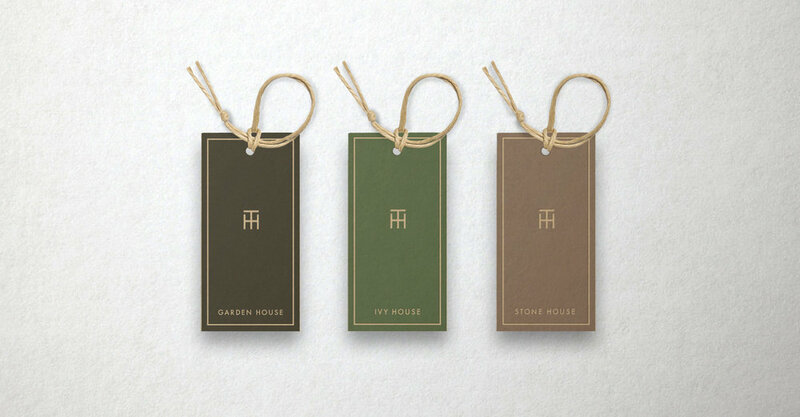 They had plans to launch three new retail and nursery shops, and each required its own unique name and identity, while maintaining the same look and feel as the parent brand. 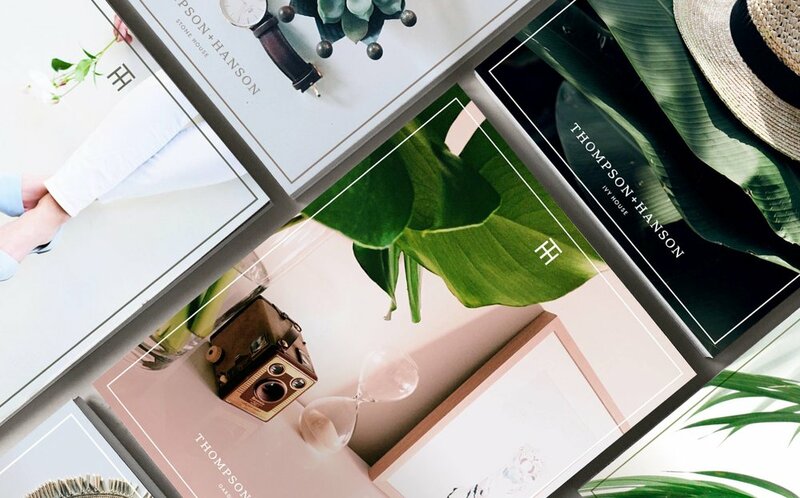 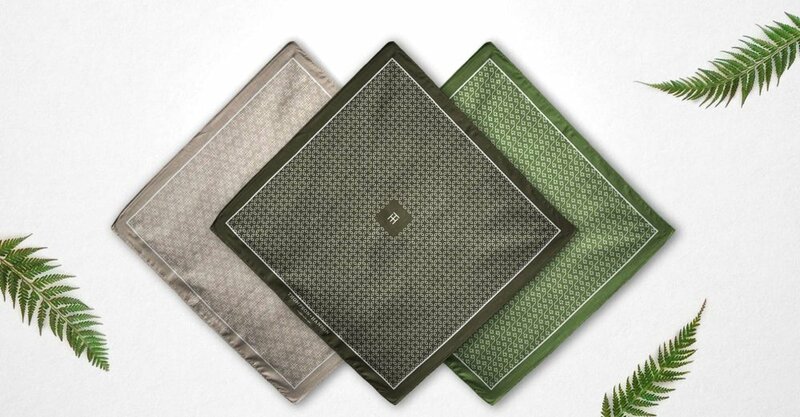 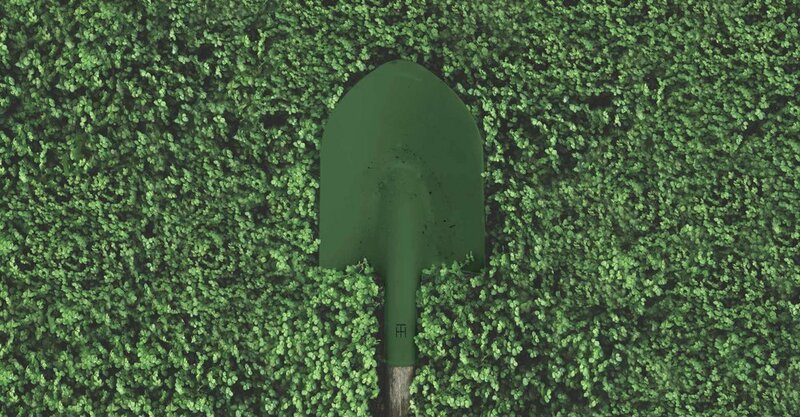 CRP partnered with T+H to accomplish this task by creating a robust and scalable brand identity system, inspired by the beauty, tranquility, and curated point of view they bring to their customers’ gardens and homes. 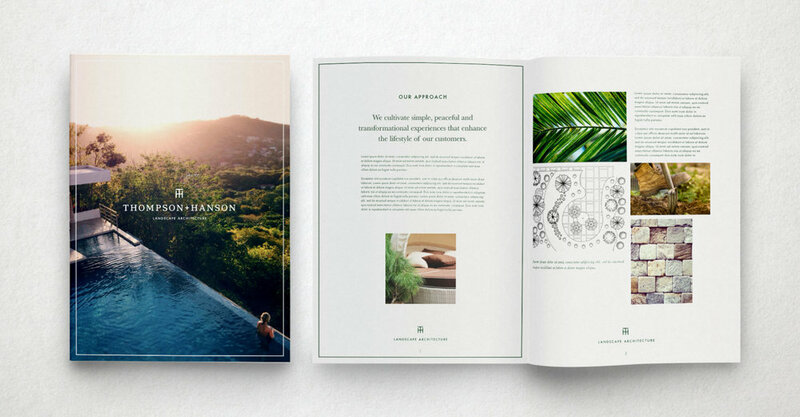 The identity features sophisticated colors, balanced typefaces, and clean lines, complemented by a bright and airy photography style. 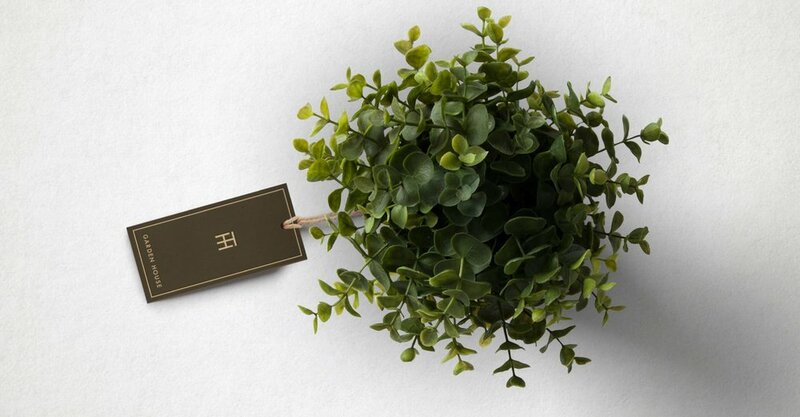 The logo itself features an updated typeface for the original wordmark and introduces a new extractable brand unit, using the letters T and H as a signature monogram. 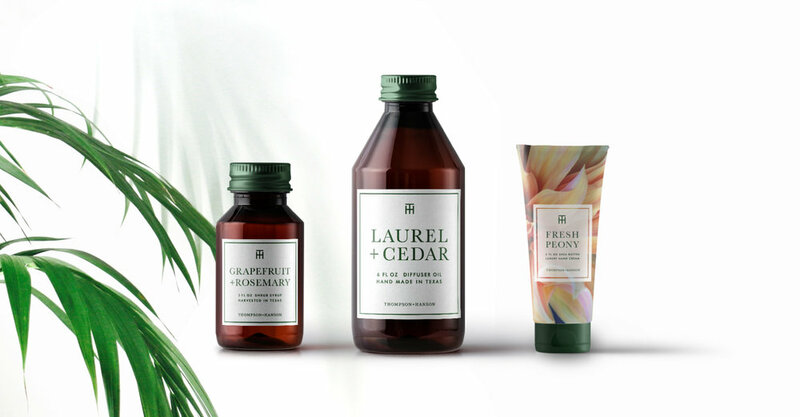 The resulting brand identity honors the company’s long-standing heritage while adding new elements and flexibility to support its future growth.